When it comes to cake design, there are some situations which give me more stress than others. The perfect cake request for me is from someone who knows me well, gives me specific thematic elements as inspiration, and then trusts me completely in the ultimate creative process. Of course, this does not always happen but when it does, it yields my best work and is the most enjoyable experience, often filled with hours of brainstorming and research prior to cracking an egg or rolling out fondant. Another similar lower-stress scenario is the opposite situation, when someone asks me to reproduce an existing design. I do not get the same creative satisfaction but there is some degree of challenge in the exact replication of a cake. The obsessive-compulsive part of me even tries to make my version of the cake better, tweaking a little here and there, trying to make it cleaner or more refined. 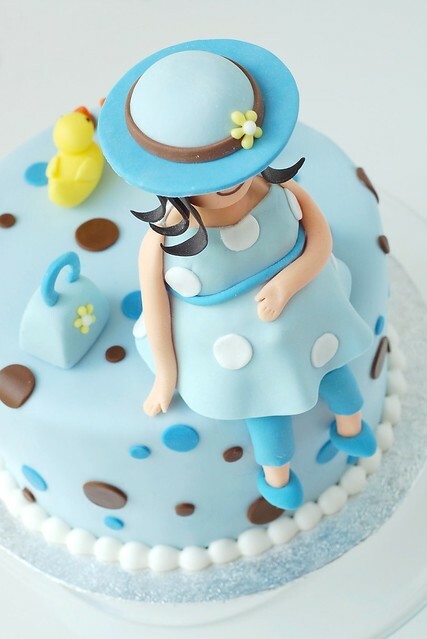 Such was the case with this baby shower cake, based on this cake by Pink Cake Box. 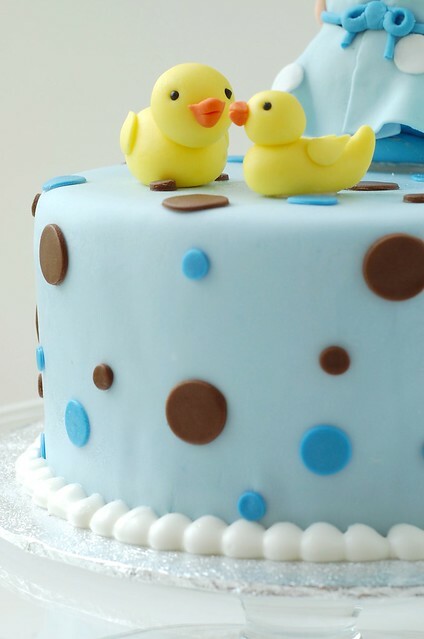 The mom-to-be knew almost exactly what she wanted and besides some minor changes like the addition of ducks and making the pregnant lady Asian, this cake was virtually identical to the original. The pregnant lady was quite challenging to make since I am no dressmaker and rarely make humans. 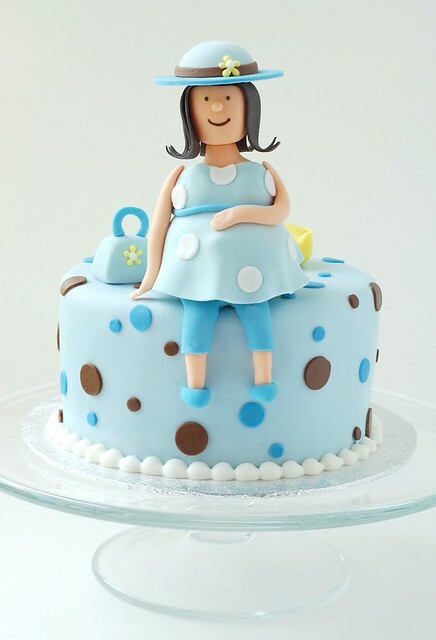 Have you noticed this is the first human I have ever featured on a cake? Posted by Charmaine at 9:25 a.m. Very beautiful and it turned out great! September 6, 2010 at 11:12 a.m. Cute little ducks! Your blog site is a total keepsake! I just love looking and staring all those adorable cakes. November 9, 2010 at 6:13 p.m.
June 5, 2011 at 7:43 p.m.